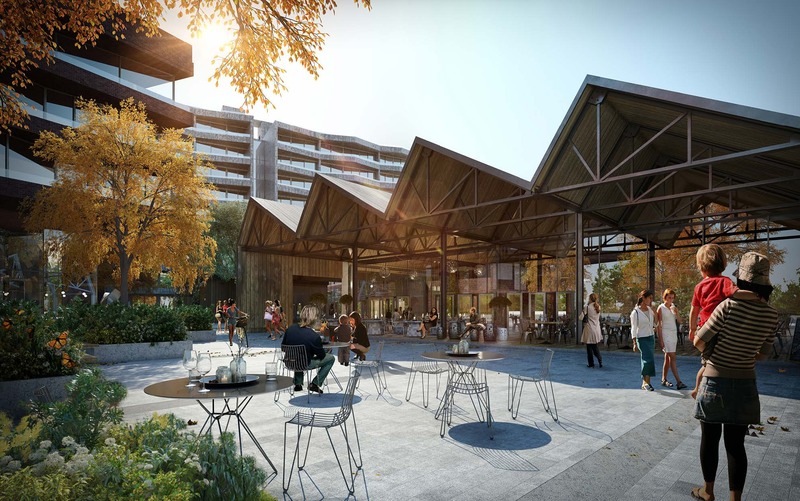 The 240 hectares Georges River Precinct is a similar size to the Green Square urban renewal project – the largest urban renewal project in Australia at 278 hectares with 30,500 new dwellings and a population of 61,000 people. The Georges River Precinct has capacity to provide up to 30,000 new homes and a significant number of new jobs. Mecone is working with Coronation and Liverpool City Council with respect to two large land holdings in the Precinct along Bridges Road Moorebank and Shepherd Street Liverpool. Both areas are close proximity to the major transport interchange of Liverpool train station and bus terminus, with existing local bus connections and access to the town centre. Mecone is working on behalf of Coronation to support Council’s master plan to transform Liverpool city centre in to a River City. Submissions to Transport for NSW on the potential Bankstown to Liverpool Metro Extension. Image courtesy of Woods Bagot.